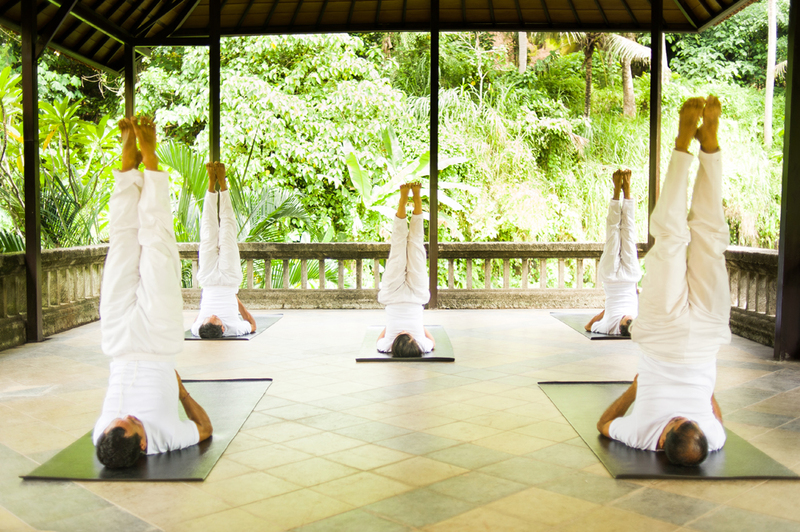 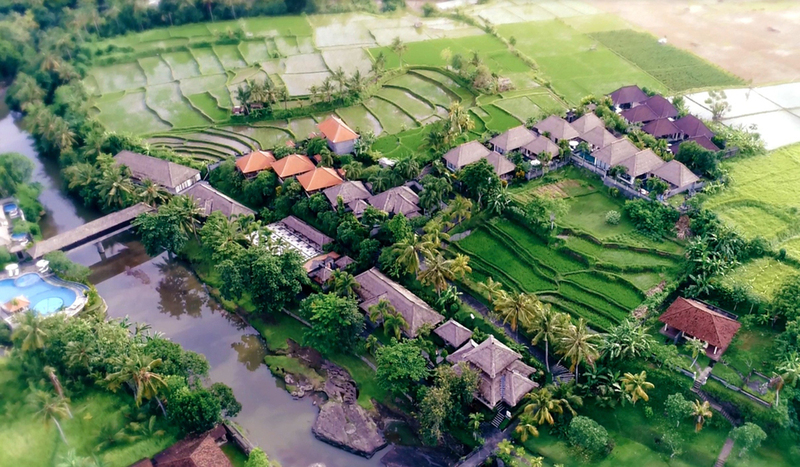 Santi Mandala Villa & Spa is set in 3.5 hectares of hillside garden, located on the outskirts of Ubud and superbly positioned facing a breathtaking view of Tanaraga Giri Lake, rice paddies, and tropical greenery. 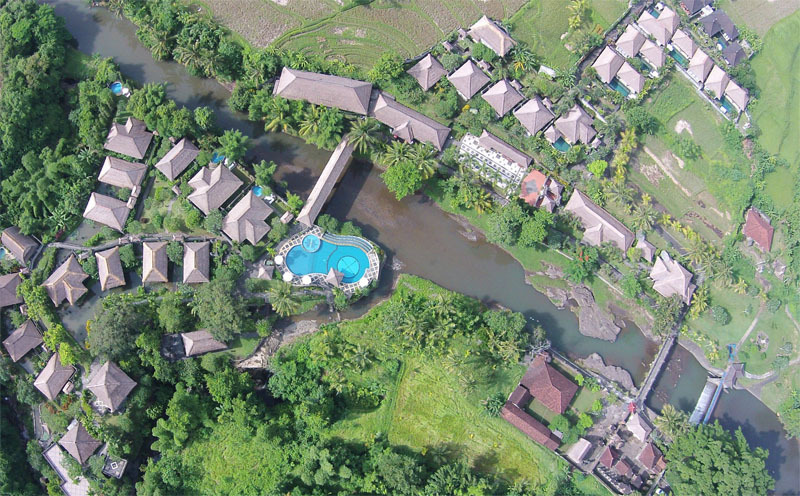 Just 25 minutes by car from Ubud, with all its cultural and dining attractions, Santi Mandala Villa & Spa provides a spacious, stylish, luxurious environment in which to enjoy some of life's better moments. 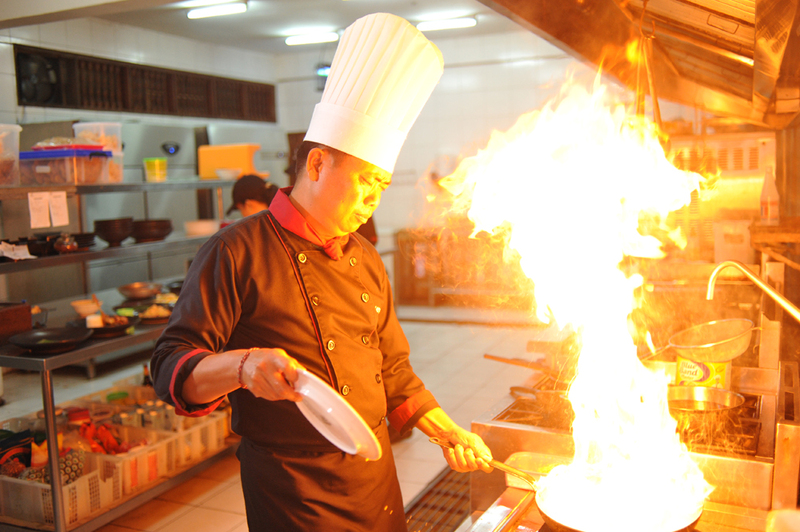 Service is always with smile. 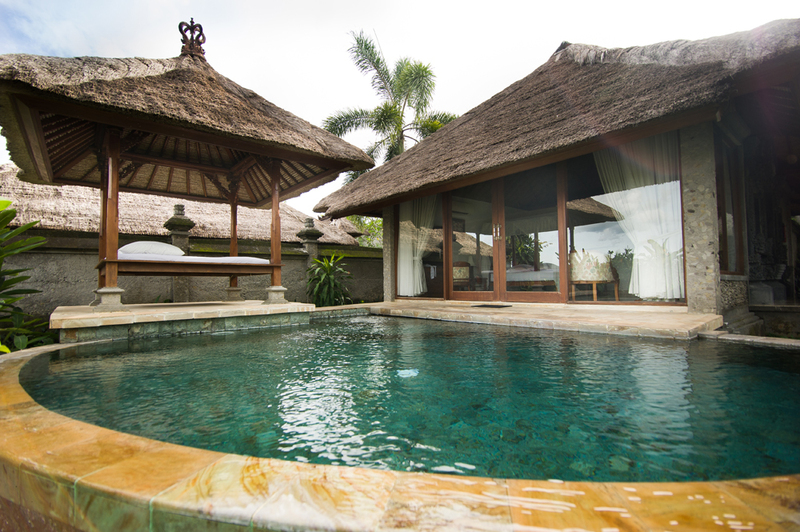 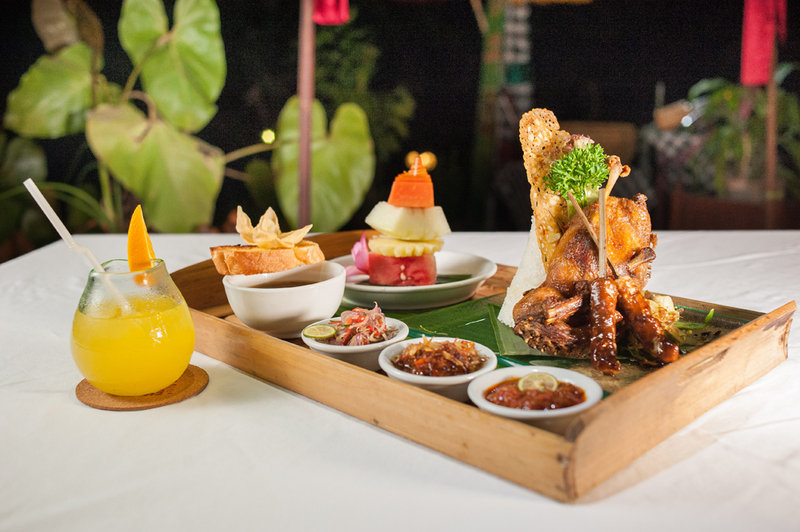 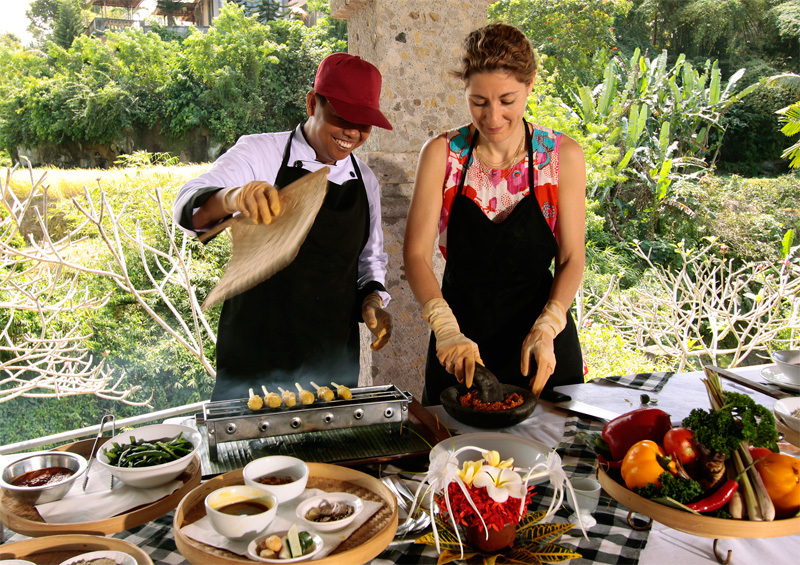 from the first moments of your arrival at Santi Mandala Villa & Spa, our professional and Balinese staff will greet you with a traditional welcome drink and ensure your every need is taken care of. 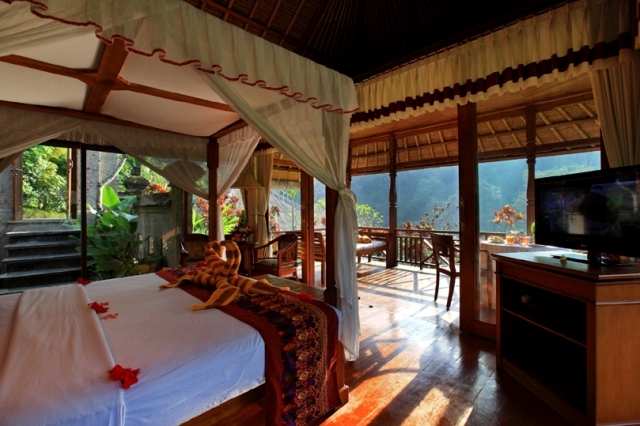 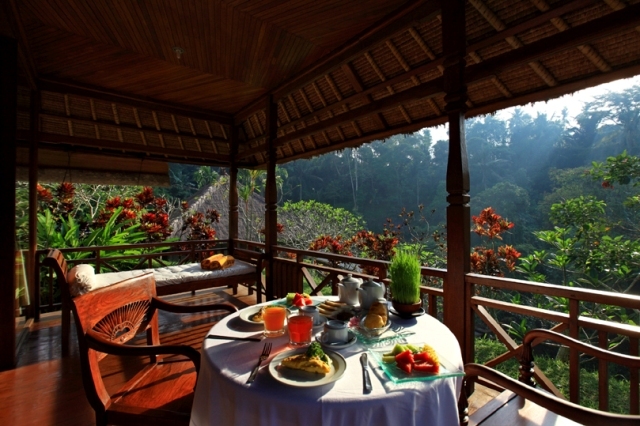 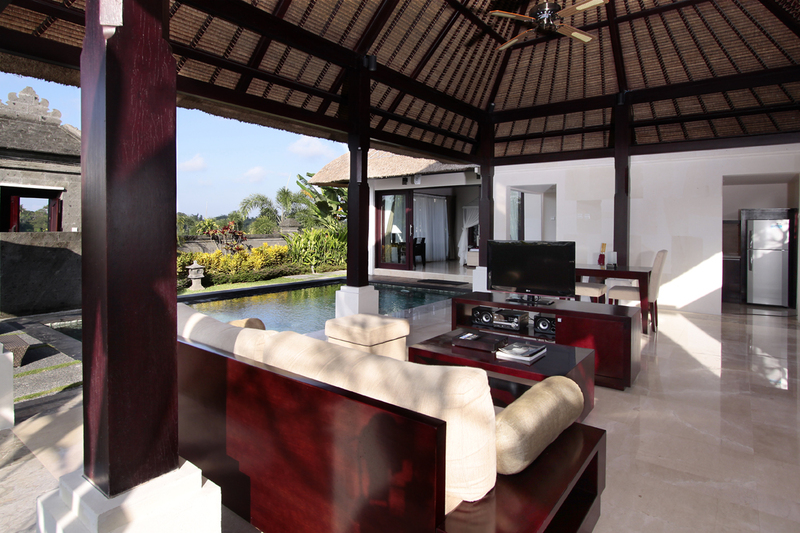 Room Type: Garden villas , Bed Type: 1 double, Double beds, bathtub, private verandah, surrounded by the cliff, river view, fish pond, lotus and natural garden. 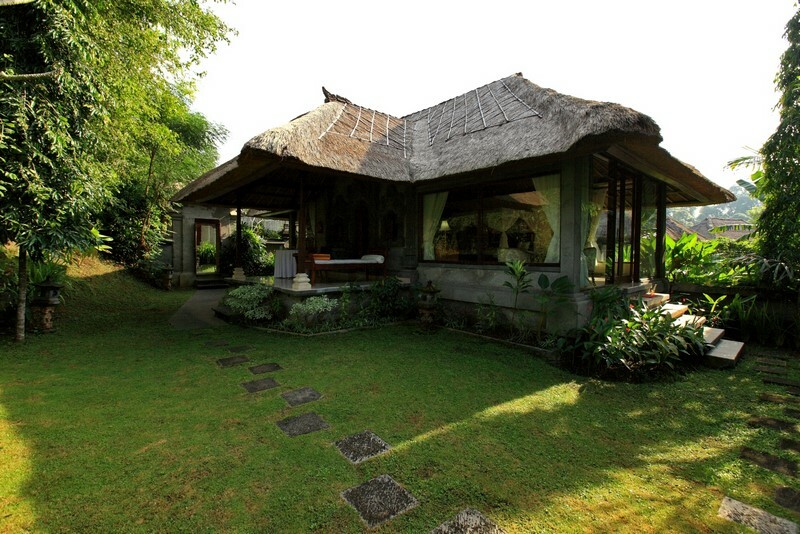 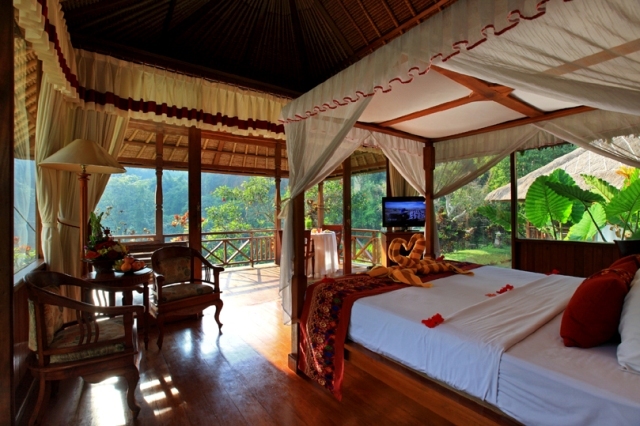 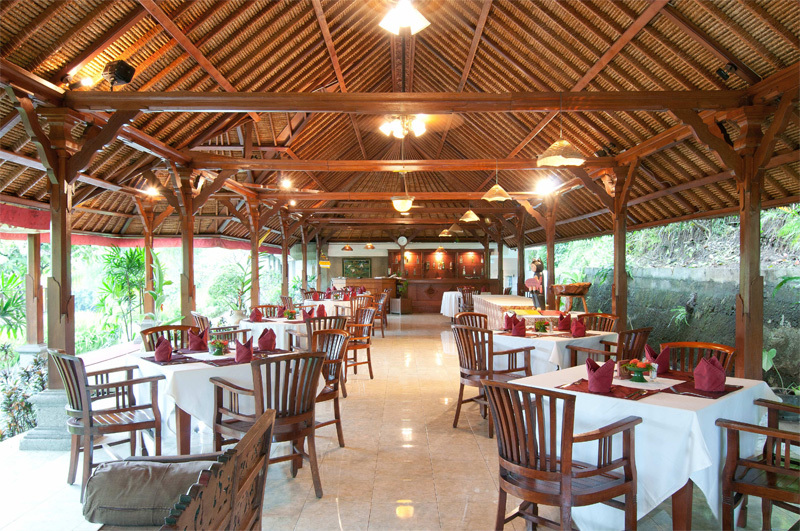 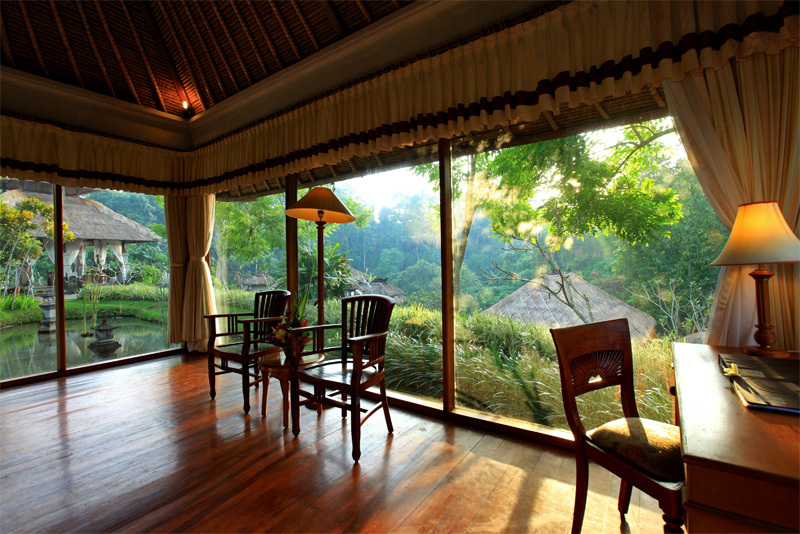 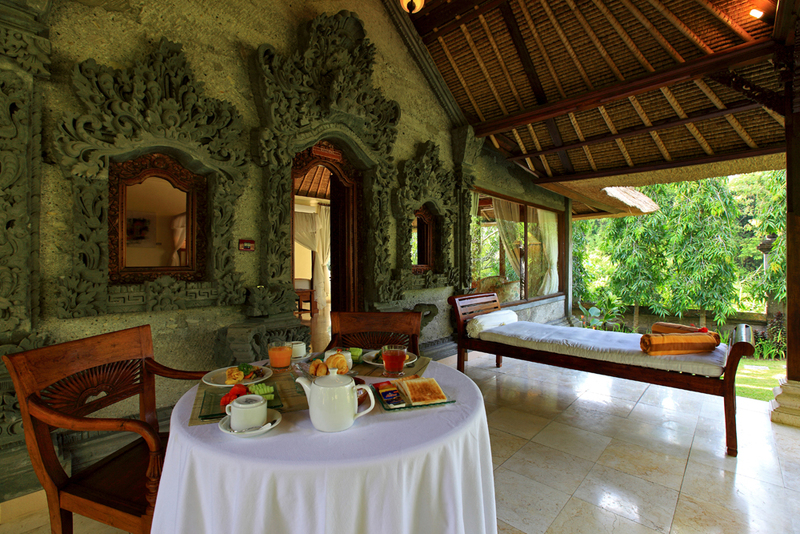 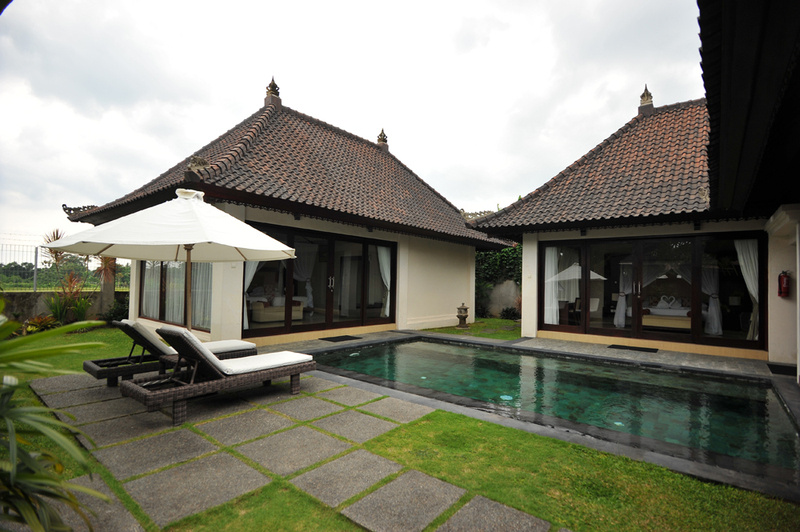 Room Description: villa has own view in door private pool, sits in landscape garden over looking the river view, and landscape of all villa. 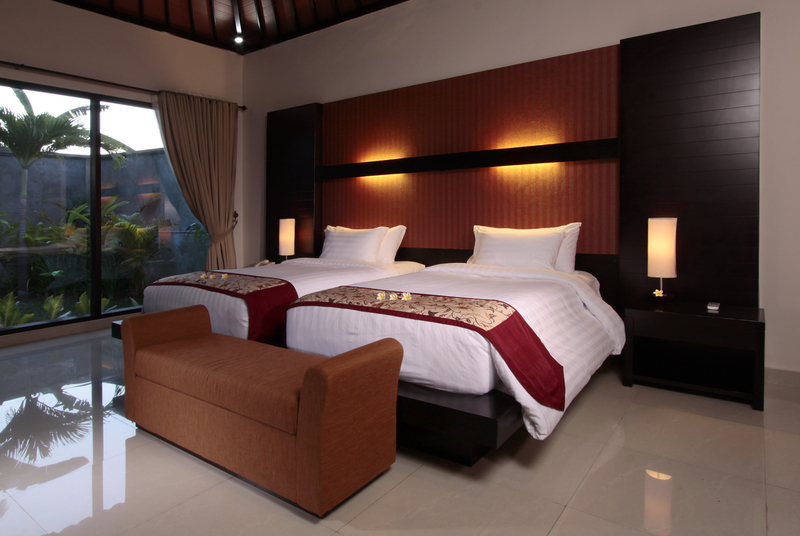 Bed type: 1 double, 2 single (twin) , Available for 4 person, A combination of upper and lower guest room, ideal for family with double bed, bath rooms. 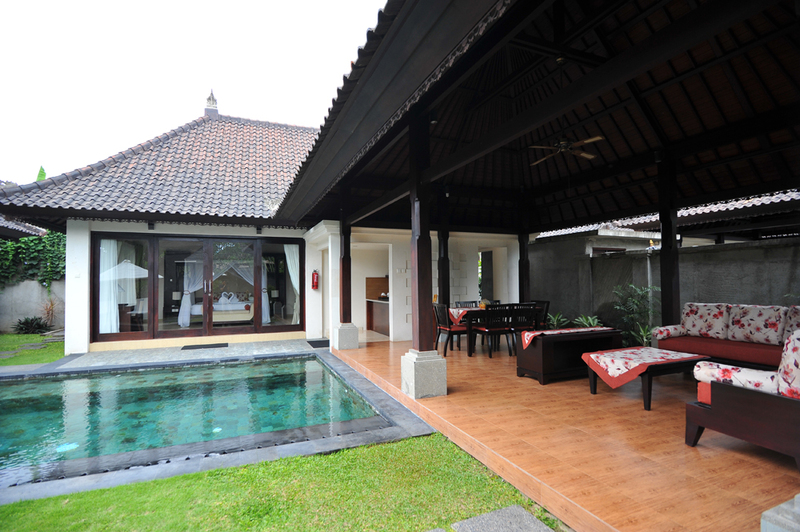 Lower floor with twin bed and upper with double bed, private pool, overlooking the river, garden, swimming pool and rice field view. 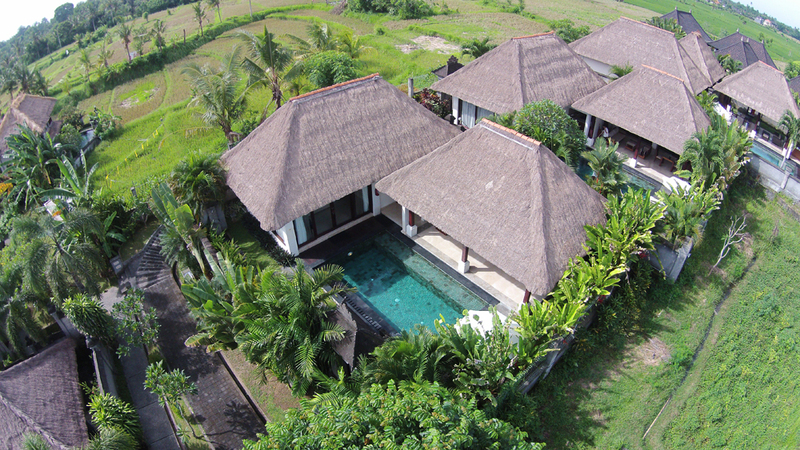 One-Bedroom Villas are designed to harmonize with the exotic surroundings, some villas are offering views of the rice terraces, resort landscape and seclusion for every guests, with luxurious bedroom, impressive living area and large bathroom with shower and semi outdoor bathtub. 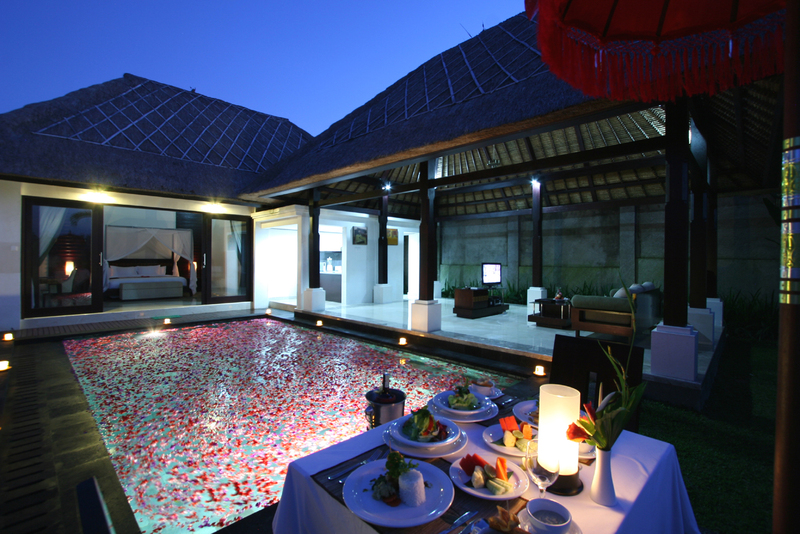 A dining with modern kitchen features beside private pool with sundeck and garden. Personal butler is available on request . 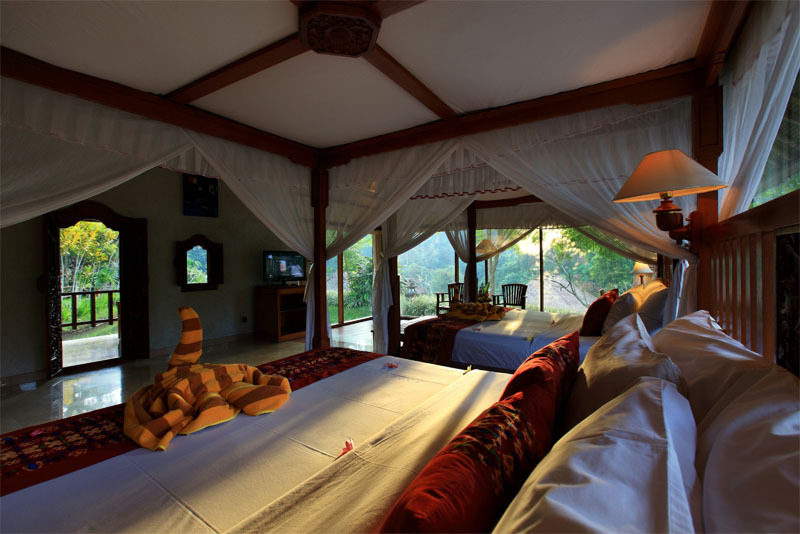 Facilities ; ( 32-inches ) flat screen satellite television, DVD player, mini bar, wireless internet connection, laundry, room service 6 AM – 10;30 PM, international direct dial, personal safe, hairdryer, slipper, coffee and tea making facilities. 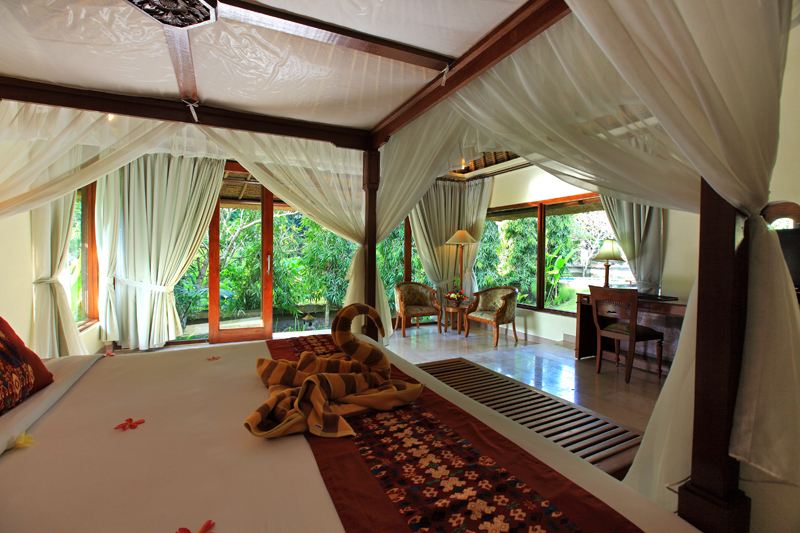 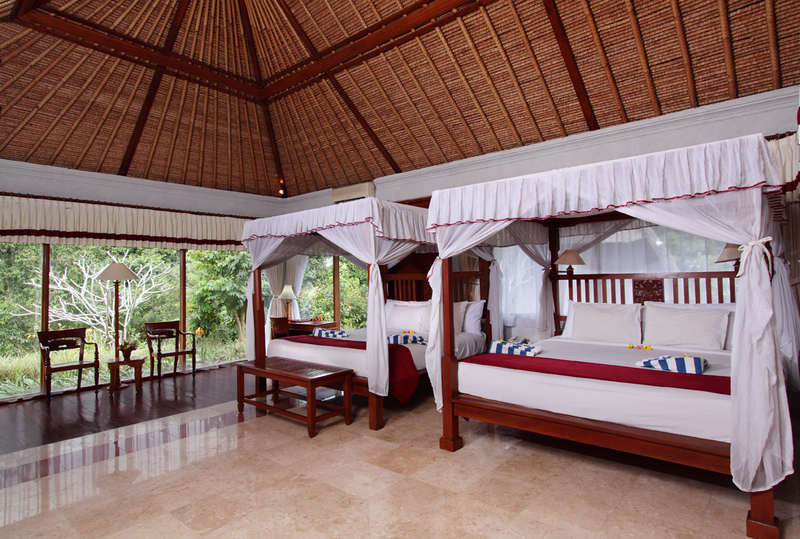 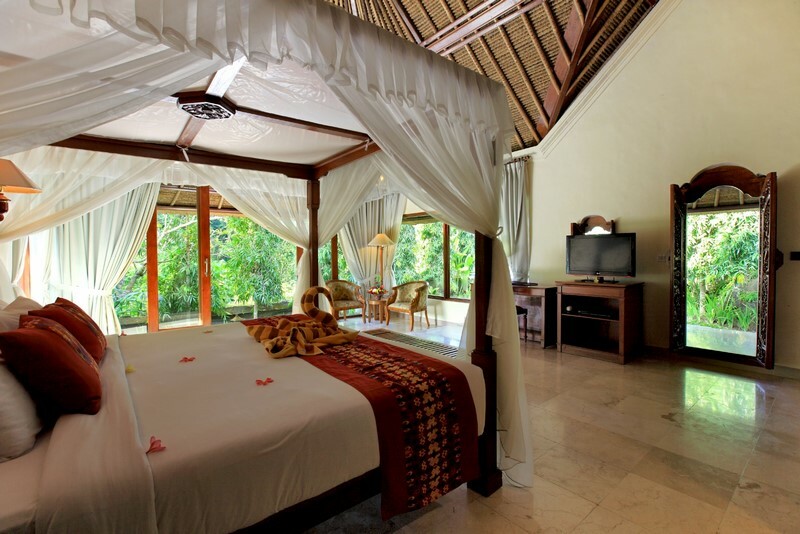 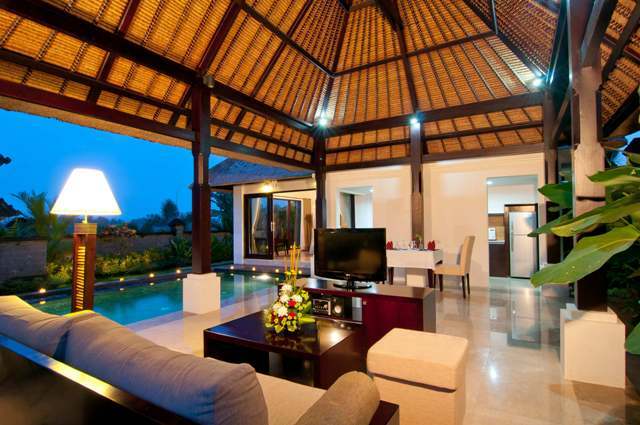 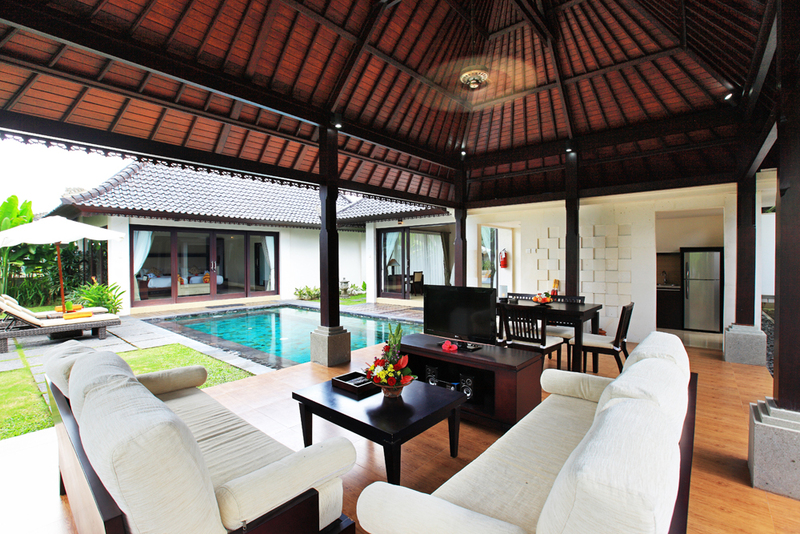 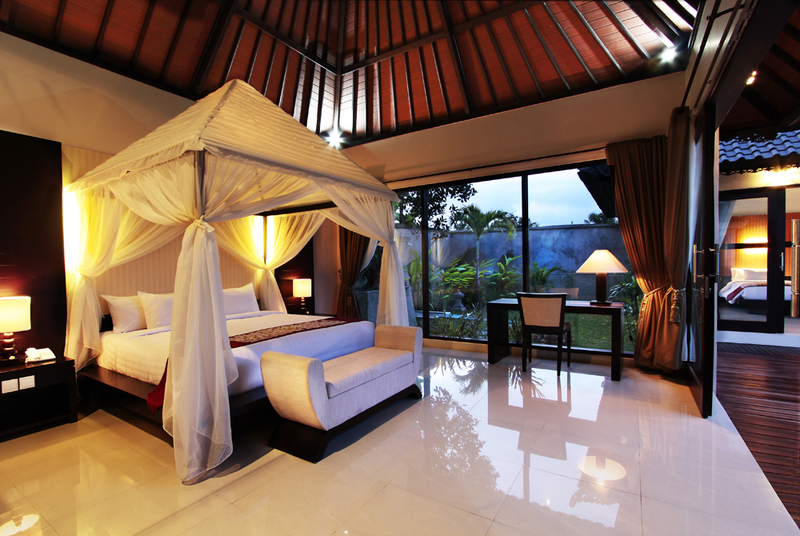 Comes with two separate bedrooms reflecting Balinese home offer more comfort and relaxation than one bed room luxury pool villa. 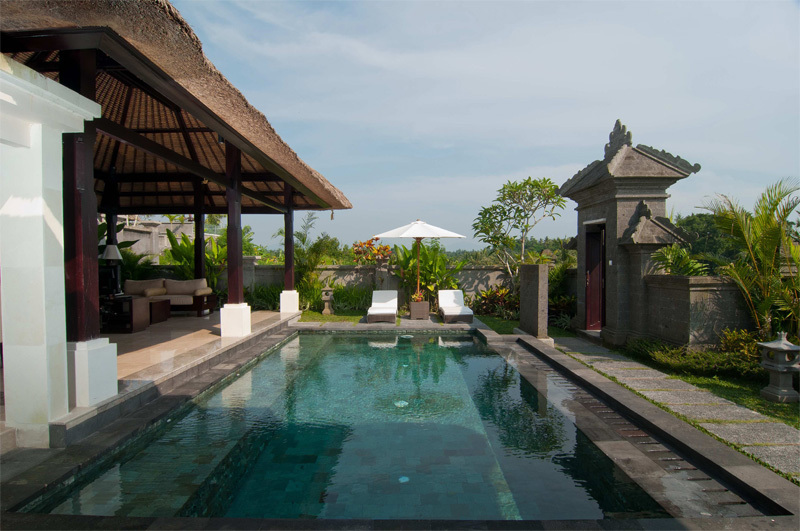 each with luxurious bedrooms, exclusive semi open bath room, modern kitchen, large dining and living room with access to the private pool and garden. 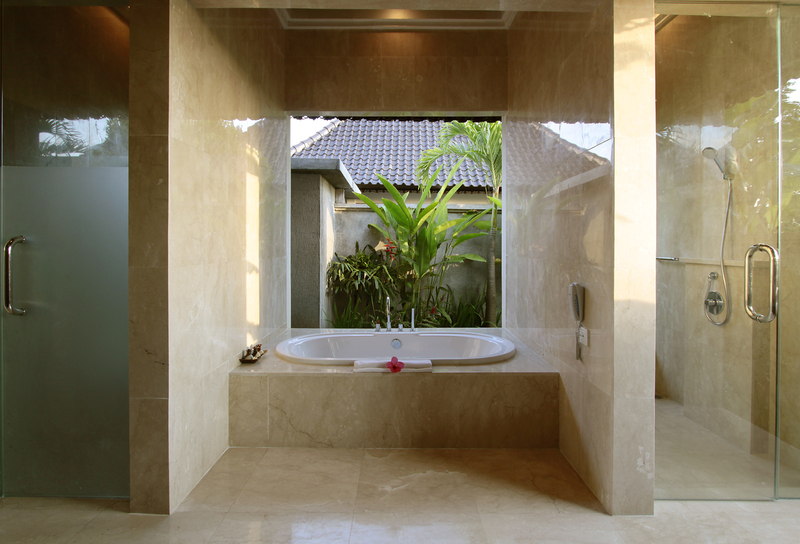 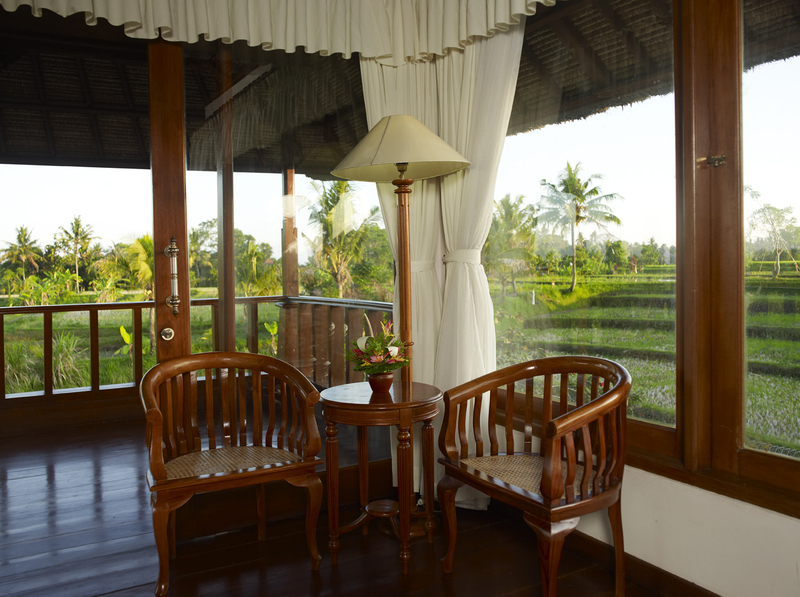 Each room feature a large bathroom with a soaking bathtub, glass enclosed shower and outdoor shower. 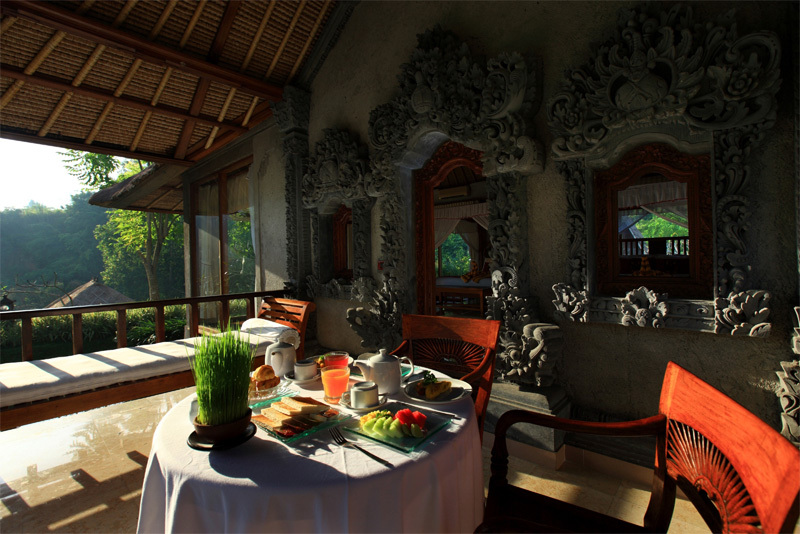 Personal butler is available on request. 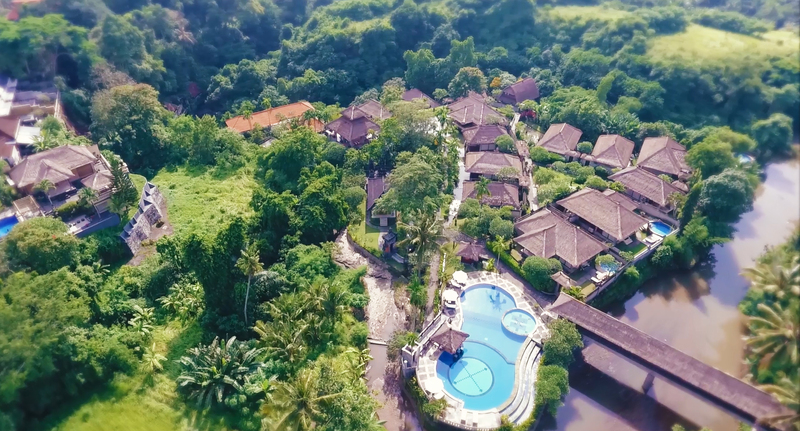 Facilities ; ( 32-inches) flat screen satellite television, DVD player, mini bar, wireless internet connection, laundry, room service 6 AM – 10;30 PM, international direct dial, personal safe, hairdryer, slipper, coffee and tea making facilities.